Lured back to Otago in 1993 by the promise of large and plentiful trout, clean air, fewer people and the potential he saw for Otago wines, Grant signed on as winemaker for Gibbston Valley Wines. At that time, only 20 hectares of grapes were planted in Otago; today there are over 2000. 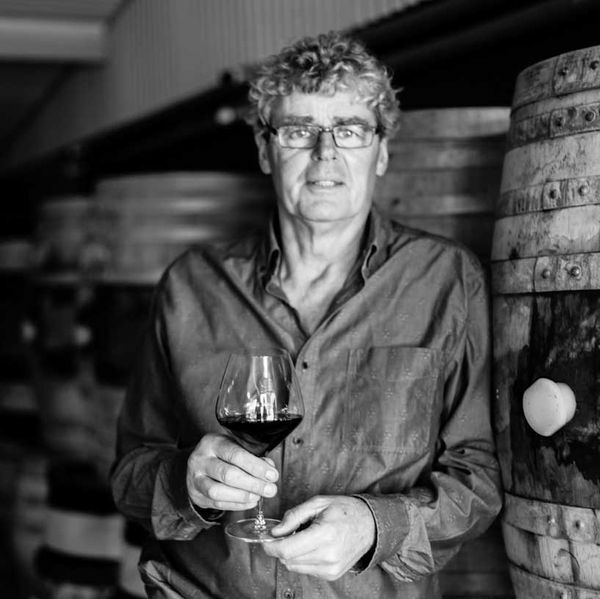 As a pioneering winemaker in Otago, Grant has produced the first vintages for many of the region’s well-known labels including Bald Hills, Carrick, Felton Road, Hawkshead, Mondillo, Mount Edward, Mt Difficulty, Peregrine, Rockburn (aka Hay’s Lake), Thyme Hill and Van Asch. Grant has kept his American ties along the way, helping to establish Oregon’s renowned Pinot Noir producing winery, Archery Summit, in 1995. He has consulted there for many vintages since. In 2006, Grant left Gibbston Valley to concentrate solely on Valli. Having now completed over 40 vintages, he looks forward to the next 40 and how much knowledge they will bring in helping to understand Otago’s potential.